"A soul comes into the world and lives for seventy, eighty years, for the purpose of doing a favor to a Jew in physical and particularly spiritual matters." Your aid to another may be the fulfillment of your mission in life, the reason why your soul was sent down to this earth. 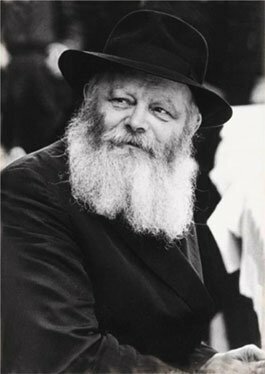 Click here for a message from the Lubavitcher Rebbe on Ahavas Yisroel. But man is by nature egocentric, preoccupied with his own existence. Each person is a separate entity unto himself, with his own drives, goals and nature. How then is it possible to deny one’s identity to the extent that a separate entity assumes equal importance -- to love him as yourself ? R. Shneur Zalman of Liadi, the founder of Chabad-Lubavitch, gives the answer in his magnum opus of Chassidic philosophy, the Tanya. Every Jew’s soul is a part of G-d Above, he writes, and "who can know their greatness and excellence in their root and source in the living G-d? Being, moreover, all of a kind and all having one Father -- therefore, all Israelites are called real brothers by virtue of the source of their souls in the One G-d; only the bodies are separated." This is the basis of the help one Jew extends to another. When you give of your money, your time, your effort -- your very self -- it is not charity you are giving. A father supporting his children, a person helping his brother, is not extending charity. Each Jew is a brother to every other Jew, responsible for his welfare. We can go further. A Jew’s mission in this world is to make of it a dwelling place for G-d, to elevate and sanctify the physical. In short, to serve G-d in all ways. This is the purpose of a soul’s descent from the lofty spiritual realms to this corporeal world. Each soul has a specific task, its particular contribution towards making the world a fit abode for G-dliness. The Baal Shem Tov, the founder of the Chassidic movement, once said, "a soul comes into the world and lives for seventy, eighty years, for the purpose of doing a favor to a Jew in physical and particularly spiritual matters." Your aid to another may be the fulfillment of your mission in life, the reason why your soul was sent down to this earth.